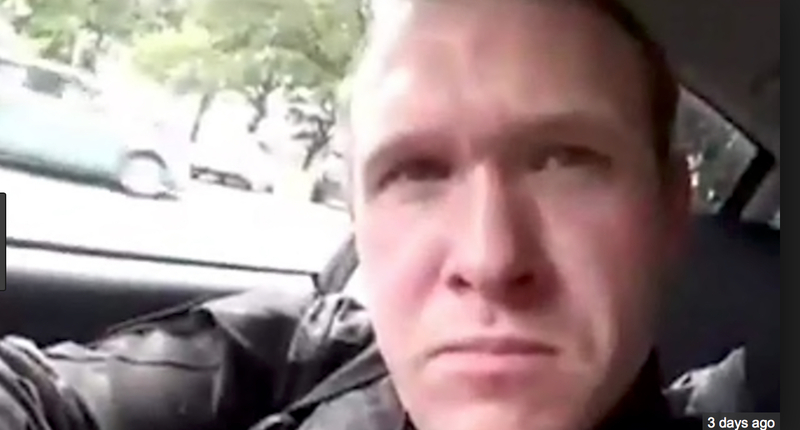 Brenton Tarrant, the Christchurch murderer, is a monstrously evil racist with a sick and deluded mind, but he is at least honest. Prior to his violent rampage in which he gunned down over fifty unarmed Muslim men, women and children gathered for a prayer meeting, he typed out what has been called his manifesto—entitled "The Great Replacement: Towards a New Society." The first words are "It's the birthrates. It's the birthrates. It's the birthrates." In Tarrant's fevered mind, the fact that immigrants—and particularly Muslim immigrants—are currently reproducing at a faster rate than "Europeans" was sufficient grounds for him to use a small arsenal of firearms to gun down old people and children, including a three-year-old boy. They were, he said, "invaders." He asked himself the question, "Do you feel any remorse...?" His answer: "No, I only wish I could have killed more invaders and more traitors as well." What would move someone to do such heinous things? Again, with considerable honesty, Tarrant admitted his racism in strikingly plain terms: "Yes, I am a racist." He also said his motives were "beyond all doubt, anti-immigration..." Again and again, he came back to birthrates. On most of his opinions, Tarrant was loud and clear. Only in reference to his relationship to Christianity did he demur: it was "complicated," he said. I would actually say Tarrant's relationship to Christianity is actually quite uncomplicated. In word and deed, he has explicitly and pointedly rejected the gospel of Jesus Christ. He has replaced Jesus' gospel of love with his own anti-gospel—a false religion with grandiose references to the long-defunct Knights Templar, but with no meaningful connection to the life, death, or resurrection of Jesus. What motivates Tarrant is manifestly not faith, but fear and hate. The thing is, being concerned about birthrates isn't in itself sinful. Even being concerned about cultural preservation isn't in itself sinful. But murder is sinful; hate is sinful; and fear, apart from trusting in God, often leads to sinful behaviors and attitudes. The proper way for us as Christians to deal with our concerns (right or wrong) is to pray about them and to cooperate with other Christians. Gospel leads us to trust and community; anti-gospel leads us to despair and isolation. That was Brenton Tarrant's biggest problem. He didn't trust God. He didn't trust there is One who reigns over everything and has a plan for everything, who ultimately controls birthrates and cultures and people and nations. When confronted with situations or statistics he either didn't understand or didn't approve of, all he could think to do was grab a gun and kill. His despair drove him to an act of monstrous evil and unimaginable cruelty. I will be praying for the victims of last week's massacre and their families. I will be praying for the people of Christchurch, and of New Zealand. I will even force myself to pray for Brenton Tarrant. But most of all, I will be praying for God's people around the world to witness in a profoundly uncomplicated way to our trust in the power and goodness and love of Jesus Christ. We don't kill, we don't hate, we don't fear, we trust Jesus.